The Bond Cafe in Digbeth, plays host to some great events, most recently the spring market. But even when there's nothing scheduled, the cafe is worth a visit. My friends and I decided to pop in after a morning of shopping in the Bullring, which is nearby. It was a fine decision because brunch was sensational. The food is fuss-free and reasonably priced and there are lots of homemade options. 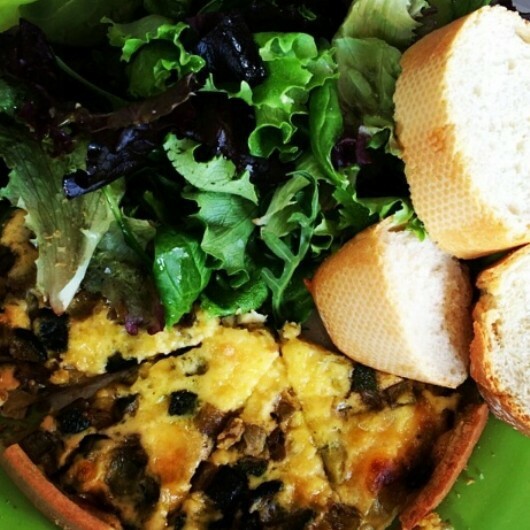 I opted for the vegetable quiche, which was well made, full of flavour and filling. The extra draw is the waterside location. The cobbled courtyard and passing barges will make you forget the industrial Digbeth surroundings. Now that the weather is looking up, we'll while away our lunchtimes perched here beside the Grand Union Canal. There's free Wi-Fi too.